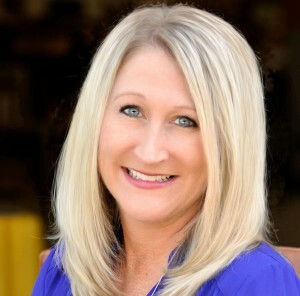 a2b Fulfillment, a third-party logistics provider with a specialty in value-added services, has added Debbie Skerly as Director of Business Development – Direct-to-Consumer. “We are thrilled to have Debbie join our team at this exciting time in our company’s progression in the Direct-to-Consumer marketplace”, says Ayal Latz, President of a2b Fulfillment. “Debbie’s professional background is perfect for our needs. She is a true sales professional who has intimate knowledge of the Direct Response and ecommerce industries. She knows how to identify the clients’ needs and to then tailor creative solutions from our ever-growing portfolio of services, including Order Management, Customer Service, Returns/Refurbishment and our new Canadian location ”, adds Latz. Skerly comes to a2b Fulfillment from a successful 15 year career in Business Development. Her most recent position was as Director of National Advertising Sales for the Electronic Retailing Association where she was responsible for targeting and presenting advertising solutions to Direct-to-Consumer marketers. “I am excited for the chance to join a rapidly expanding company that focuses on delivering service excellence while remaining so incredibly cost effective for its clients. The expansion of a2b’s service portfolio provides a wonderful opportunity and challenge for me to add value and grow new markets using my experience and skill set in both sales and business development” said Skerly.